2016 marks as the year my husband Gabe and I shared new Disney experiences. We visited Disneyland Paris and Walt Disney Studios Park in September and had a blast. While there, I never thought we would be making the trip to California weeks later to visit Disneyland California for the first time! Growing up in Central Florida, it is a very common thing to spend a weekend at Disney World. My co-workers who aren't Florida residents think of this as an oddity, that I can decide on a whim to spend the day at Disney but this is how we grew up. With that said, this is the reason neither of us have ever been to Disneyland. When the World is in your backyard, your parents aren't going to be quick to fly across the country to take you to another park. 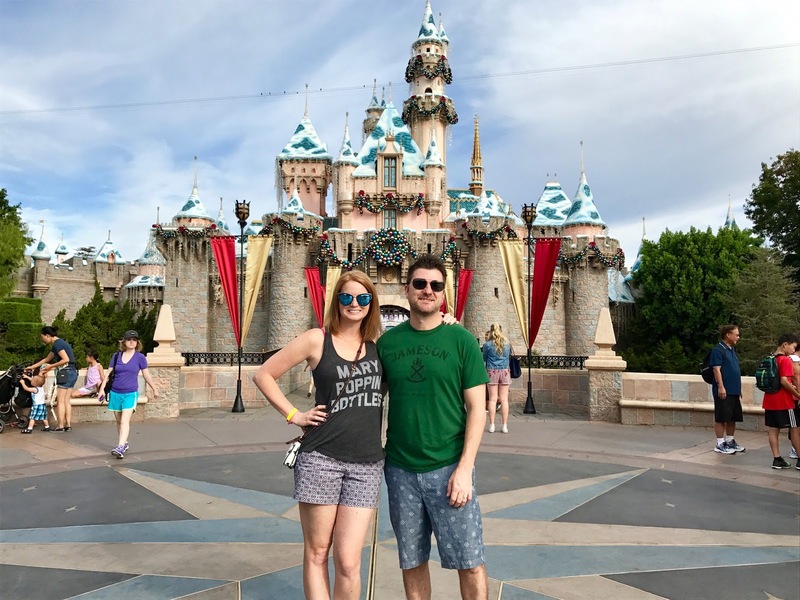 When we found out I was heading over to Disneyland to run the Super Heroes Half Marathon, we both became filled with excitement for visiting Disneyland for the first time. I don't know if it was the time change or the fact I was more excited than any Christmas morning I could remember, but I was up at 5am waiting to enter the parks. We stayed on property at Disneyland Grand Californian (blog post to follow) and we had extra magic hours on Saturday morning which permitted us into the park an hour early. 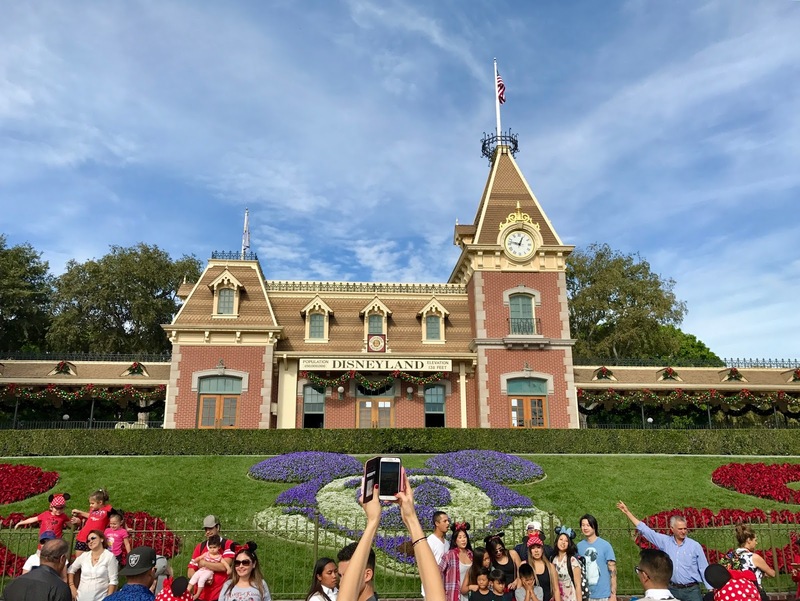 I will say that Disneyland's security is tighter than Disney World's - after we got through the security gates, we only had 15 minutes before the park opened to non-hotel guests. If you are staying on property and want to take advantage of Extra Magic Hours, plan accordingly - I would be there 15 minutes before the early time starts. Once inside, we entered through Main Street USA and just like Paris, we first noted how alike the parks Main Streets were. Then we rounded the corner and saw Sleeping Beauty's Castle. Growing up in Disney World, this was much of a shock to us. While many have warned me not to be surprised at how small the castle was, I was not prepared for this. If you've been to Disney World, you can see in the photo above why we were both a little confused - yes that is the castle in the middle! We immediately went over to Space Mountain to learn it was closed until further notice. NOOO! We had no idea when (or if) it would reopen. So I started stalking the Disneyland App so we would know about getting fast passes. I am sad to report, we did not get to ride Hyperspace Mountain. By the time we got back over to the ride, the fast pass distribution time was at 7:30 and we had the Super Heroes Half Marathon Pasta Party that night to attend. Also for those used to Magic Band and my Magic Plus, Disneyland still uses the original paper ticket fast pass method. 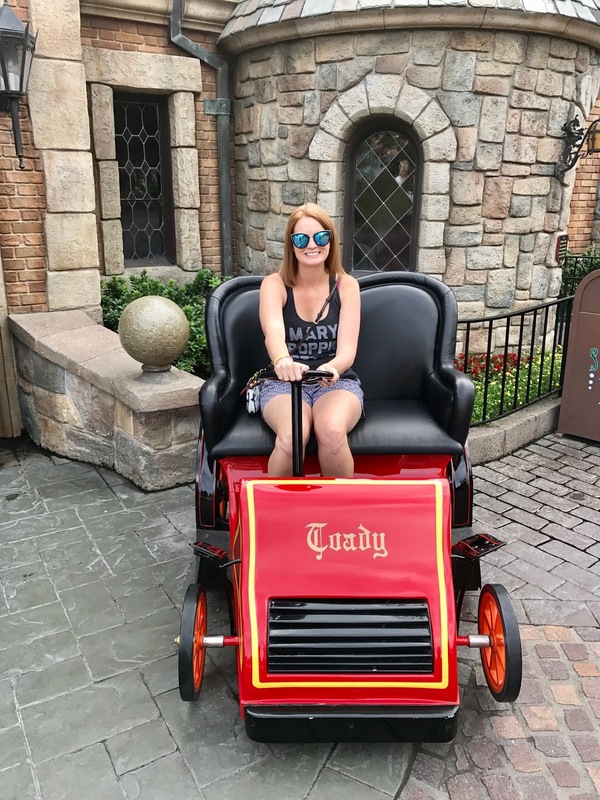 Although slightly bummed over missing out on Space Mountain, I quickly got over it when I rounded the corner to find Mr. Toads Wild Ride. As a kid, this was 100% my favorite ride and I've never gotten over Disney replacing it with Pooh at Disney World. 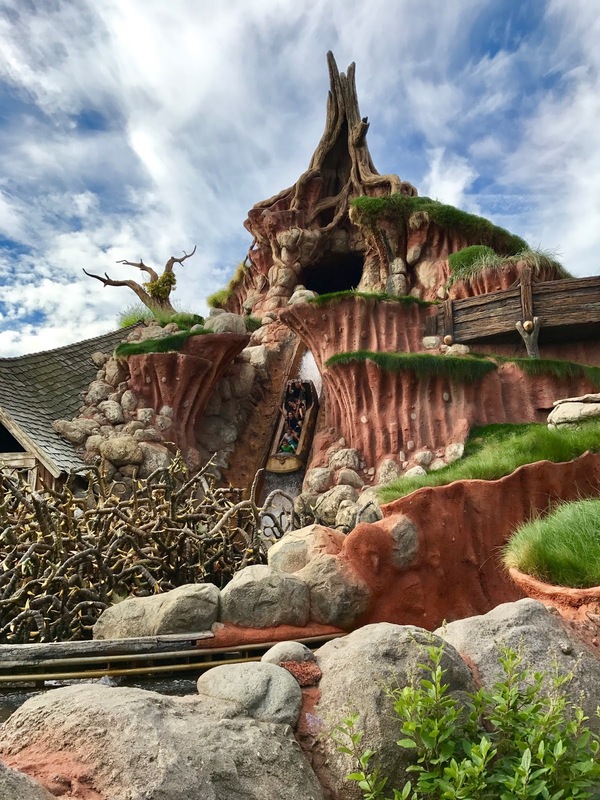 Mr. Toads was the #1 thing I had to ride while at Disneyland and it was the first ride we did in the park. I couldn't get the smile off of my face. It was exactly how I remember. We decided to go on Splash Mountain since it only had a 5 minute wait. It was almost exactly like ours. This seemed like a great idea since it was such a short wait but then we got soaked....not a great idea sans poncho. 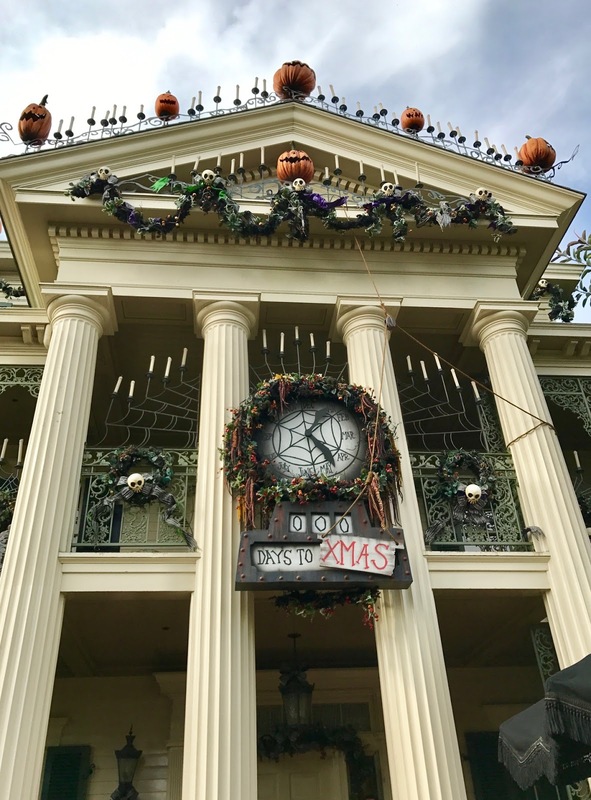 We got to take advantage of riding the Haunted Mansion Holiday before the parks got packed, which was taken over by Jack and Sally from Nightmare Before Christmas. We literally walked right on the ride which was great being 20 minutes later they were up to an hour wait. 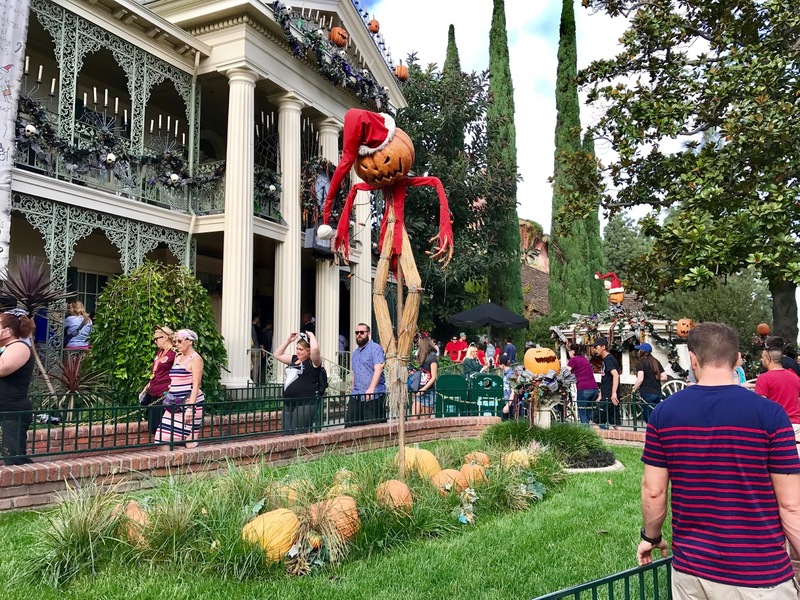 Essentially, the ride itself is very similar to our Haunted Mansion but with the Jack twist to it, the entire experience was 100% different and we absolutely loved it. 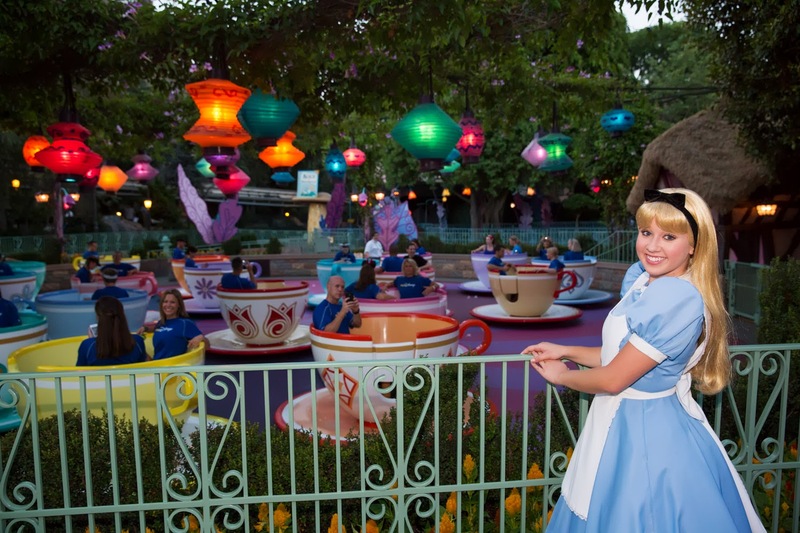 Although I didn't ride the Mad Tea Party Cups, I saw the same facial expressions as those I see in Orlando. My friends Nicole and Chad got engaged on these very cups a few years ago! Another original ride to be taken over by the Holidays was It's a Small World. Thanks to being stuck on it at Disney World for over 30 minutes, this is one ride I refuse to go on (along with the Tea Cups). However, I thought it was super cute that they redid the ride for the Holidays. Once you pass It's a Small World, you find yourself entering Toon Town. This was a super fun part of Disneyland and I love how they did it. You seriously felt like you were inside a cartoon. Gabe and I rode Roger Rabbit's Toon Car Spin. I don't do spinning rides and the only reason I went on this was because it was Roger Rabbit. Once I took over the wheel and prevented us from spinning (thanks Gabe...), I really enjoyed the ride. After leaving Toon Town, we met up with my friend and fellow ASICS ambassador, Linzie (Sharp Endurance). Although we have been connected via social media for nearly 4 years through a number of partnerships and ambassadorships, this was the first time we have met in person. We rode Indiana Jones Adventure together which became our last ride of the day. 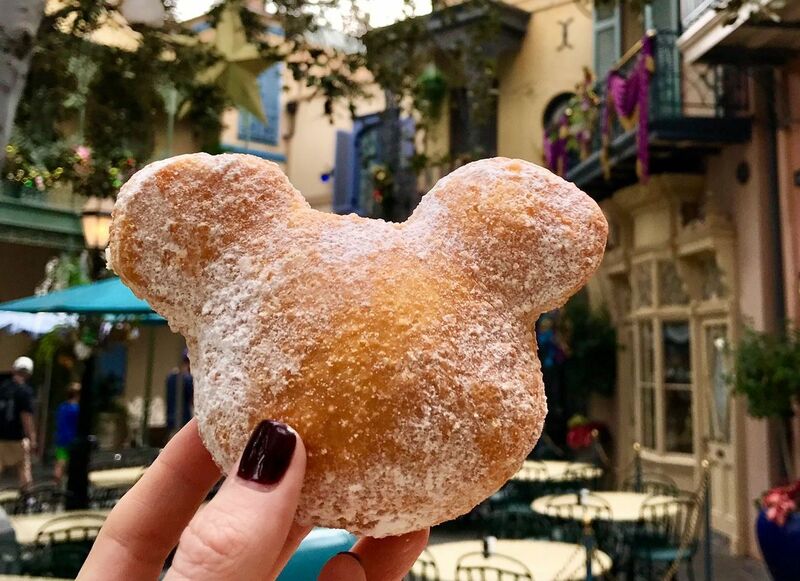 While at Disneyland, we did partake in one food staple - the Mickey Beignet. We are hard critics - we visit NOLA two to three times a year. Everyone I know raves on the beignets found at Disneyland's French Quarter but they sadly did not meet up to our real life French Quarter expectations. I did love all the French Quarter flair at Disneyland! Live Jazz performances and smells of gumbo and Jambalaya in the air. I wish we had this section at Disney World! Before leaving the park, I had one goal in mind.....a Disneyland Corndog. The line was close to an hour long and luckily we had Linzie w/ us who was quick to inform that the same corndog was available next door at California Adventure. We said our goodbyes to both Linzie and Disneyland and headed next door for a ton of fun.